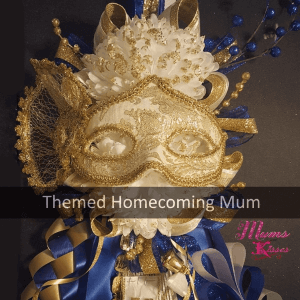 Mums and Kisses began as a Homecoming Mum E-Commerce website that catered to Texas students and parents attending their local homecoming football games and expanded quickly to offer a physical retail location. The designs, quality and low prices kept customers coming back year after year. What began in Texas, shipping city to city has now grown to now serve customers worldwide. We’ve shipped as close as 4 miles away, all the way to Okinawa, Japan! As told by the Owner & Founder, Shannon Hart Gonzalez. “14 years ago, I helped to make our first homecoming mums for the pee-wee cheerleaders of the Azle Youth Association in Azle, Texas. Fast forward 10 years later we had moved away and I was still making mums occasionally for my own children. When my son got to be a Freshmen, I had taken a trip to the big box Hobby craft shop and I couldn’t believe the sticker shock I got when it was time to pay for the ribbon to make a single mum…. $90.00! Are you kidding? I hadn’t bought anything but ribbon! No trinkets, nothing but a silk flower, and backer, and some ribbons. I couldn’t believe it. I know I have expensive taste but MAN! And the quality of the expensive premade mums they sold, yuck! I knew there had to be something better. Six months later, my father passed away from Alzheimer’s at the young age of 65. It absolutely devastated our family. I wanted so much to do something with my grief, with my time, with my feelings of loss. I needed an outlet. At that time, I was giving life a lot of thought and the motto in my head that kept repeating itself was “Shut up and Do It” So… I did. Right before school let out that year I ran across the “sticker shocking receipt” of this past homecoming mum. It didn’t take very long to make up my mind that if this was a problem for me that it was happening to most ALL parents. I set out to make my own website with the goal of not only servicing my area but all of the U.S. I started this business with .86 cents. That’s all we had to our name until the next paycheck. I went to work figuring out how to ship a mum with out it costing an arm and a leg. Wow.. that that was fun… Then I tried my hand at designing more and more with scrap ribbon around the house. After which I found a supplier, and cut back on my grocery budget to slowly buy supplies. Right before school and homecoming season began, I took a chance, sacrificing my kids school clothes money to buy the rest of the supplies for the season. I cried that day worrying about the chance I was taking and promising myself that I’d make it up to them. This had to work, and I knew it. 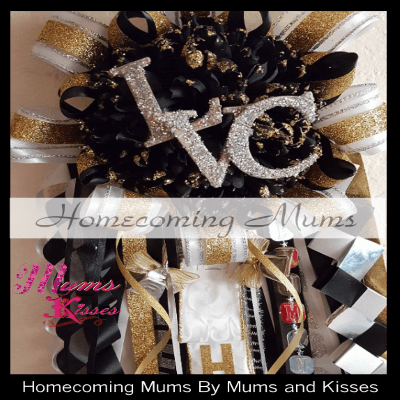 We sold our first homecoming mum 3 days after the website went live and it didn’t stop. I was so shocked that people not only liked my designs but wanted them in droves. Life went from normal to warp speed and little to no sleep. With 4 am bedtimes and waking up again at 6 am to take kids to school and back to fill mum orders. We started out on the kitchen counter of our home until we got tired of finding glitter in our food. That was one of the hardest, but most rewarding times of our lives. In our first season online we made it on to NBC News Online and made a mum for a celebrity! Two years later the biggest question we’d get from our customers was “do you have a store?” I knew that that was going to be our next step. Our customers demanded our custom supplies and at first I was hesitant to release them. But as our third season rolled around I knew we had to “give the people what they wanted”. We took another chance and opened our 1st physical location selling our custom supplies. Together with sweat equity we built not 1 but 2 buildings. a store and a workshop. Late nights hammering by flashlight, laying down floors and putting up walls with no air conditioning in July to get the store open before the homecoming season officially started. Every day the buildings took more and more shape and I doubted myself more and more. What if this didn’t work? What if no one finds the shop? What if it’s not big enough? The questions that plague a business owner keeps you up at night with self doubt. Still, I had to follow this path that God has put me on. I had to try. Mum orders started rolling in in early July as we were building the shop during the day and making mums at night. Then one day, we looked up, and the store and workshop were finished! Today our retail location is open Aug – Nov servicing customers that travel from all over the state. Our online eCommerce store continues to thrive and we’ve proudly shipped orders all over the U.S. and as far away as Japan. My personal goal is to extend this Texas tradition to all states. I think every student in school should experience having a Homecoming tradition. I can’t believe how fast Mums and Kisses has taken off and I can’t wait to see where we go from here. I’m truly blessed to not only have the support of my family, but of the parents that have become our best customers. I love hearing how proud they are of their own kids. They cheer me on so much and I’m truly grateful. Mums and Kisses has changed our lives, and shown my kids that they can do anything if they are just willing to work hard enough for it. Part of the goal of Mums and Kisses from the start was lower the prices, give better quality, and introduce new designs both in mums and in the website that sold them. Back when we started, most mum websites were blogs or facebook pages. Mums and Kisses introduced the all order online method, the live chat and let our customers kiss those long design appointments and phone call ordering goodbye. We’ve pioneered this effort and are now often duplicated. We strive to keep mums a tradition, something truly custom and no hassle ordering. Our quality is unsurpassed. 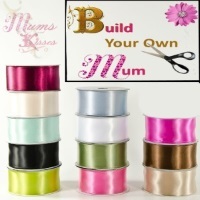 As craft shops continue to use paper ribbon we use 100% Satin Double Faced luxury line ribbon. Ribbon is our leading cost of supplies and we spare no expense to make sure it’s the highest quality. We literally search the world to bring you the ribbon that you haven’t seen before, that’s not used anywhere and even have customized our own ribbon as well for the one of a kind looks. We go to the extreme for homecoming mums. We want our customers to have a true keepsake, not just another mum. Today, Mums and Kisses is now one of the most well known brands in designer homecoming mum. We’ve been in the Voyage Dallas Magazine, and NBC Online. We’ve made Baby Mums for some of the wives of the Dallas Cowboys. We’ve made a homecoming mum for the Actress Audrey P Scott of the Movie Universal Solider & Secretariat. We’re a proud member of the U.S. Small Business Administration, and a Trusted Square Up online store. Fort Worth Cowtown Marathon, / Cook Children’s 5k Marathon. Thank you for taking the time to get to know us. 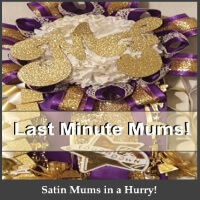 We’d love the opportunity to custom make your mums as well. Thank you to all of our many, many loyal customers for your constant support of us, and the charities we donate to. Our heart and soul goes into Mums and Kisses we humbly thank you for choosing us.